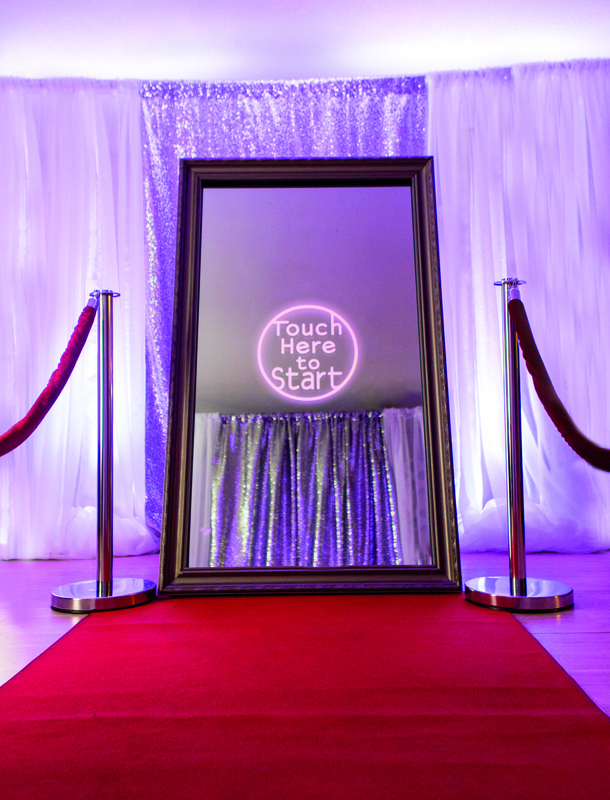 The Magic Mirror Photobooth offers a variety of print options to fit perfectly for your event. Standard filmstrip layouts, 4 X 6 photos, 1,2,3,even 4 photo sequence designs, this booth as it all including an option for guests to digitally sign their images with our on-screen graffiti feature. Imagine the excitement of the Mirror Booth at your next event. Let's take a look. The Magic Mirror Photobooth by 2ND II NONE PRODUCTIONS is an ultra-interactive, highly dynamic, full-length mirror that's reinventing photobooth fun for you and your guests. With the latest technologies in sound, touch, and motion activation your guests will love they way they look at your celebration.